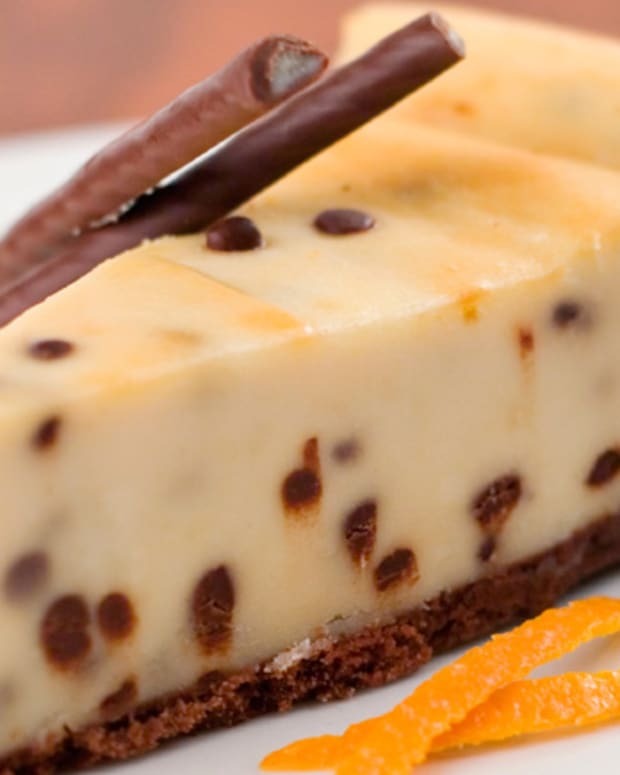 Cheesecake is super popular in Israel, not just for Shavuot but year-round. 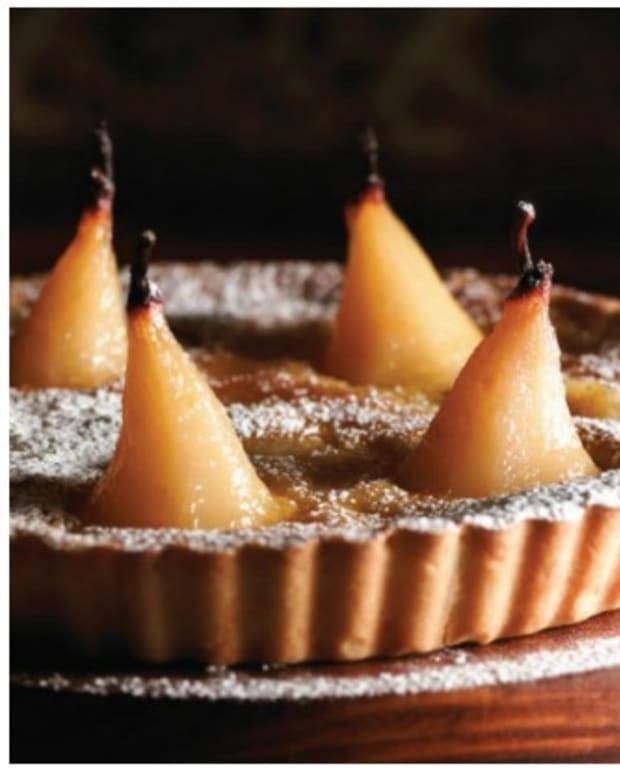 You’ll find it on dairy dessert menus, at hotel breakfasts, and served Shabbos morning in Israeli homes. It’s one of the two to three cakes that most every homemaker knows by heart and has in regular rotation. 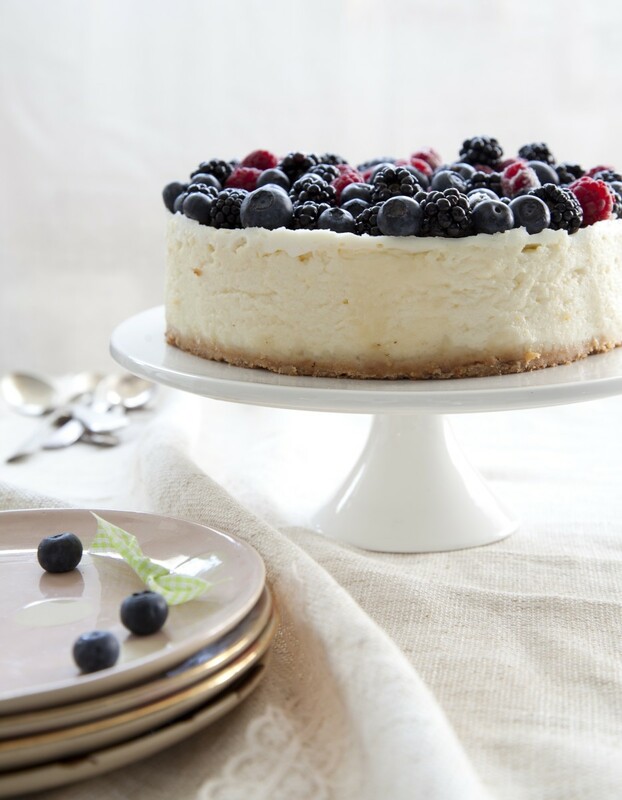 I asked my friends, some of Israel’s most famous celebrity chefs, TV stars, bestselling cookbook authors, editors, and food writers, for their perfect cheesecake-baking tips and exciting twists on my favorite dairy dessert. Last night I ate TWO cheesecakes in preparation for this article. I don’t want anyone claiming I didn’t do my homework! 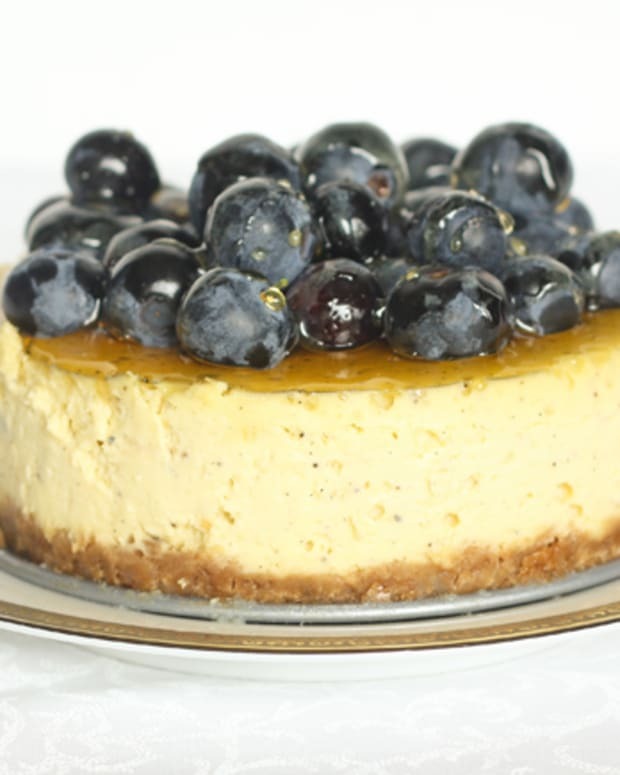 First, What Is The Difference between Israeli and American Cheesecakes? 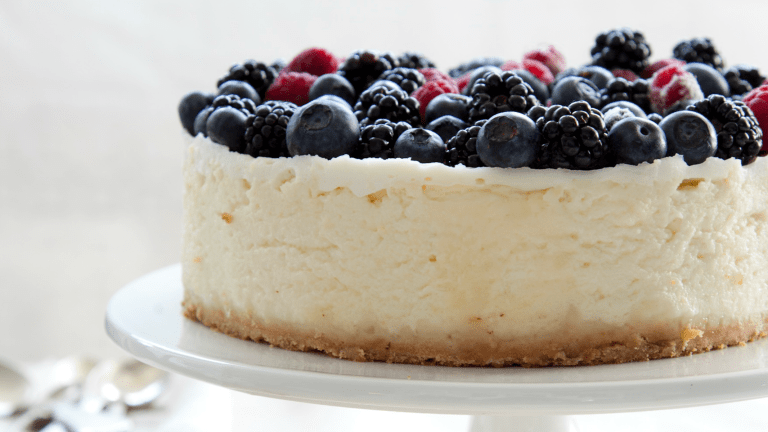 American cheesecakes are made mostly with cream cheese. 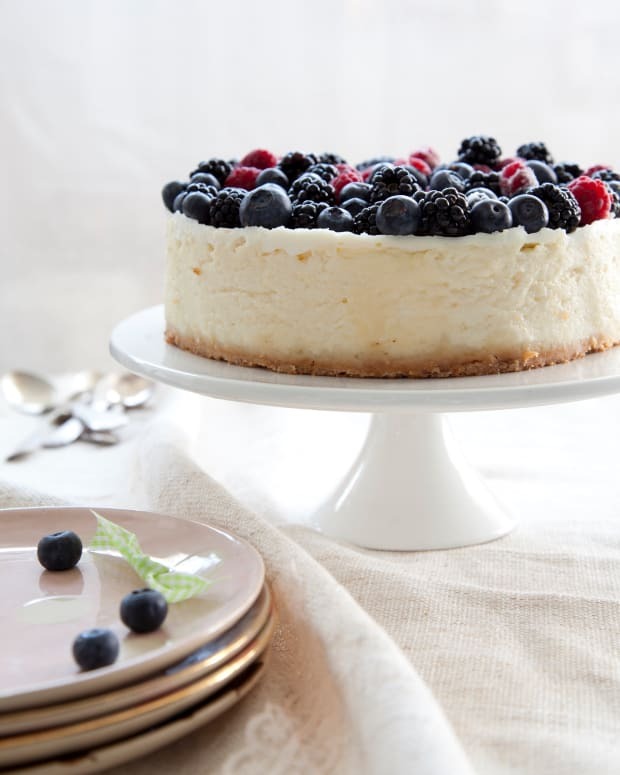 The famous New York Cheesecake features mounds of that goodness, resulting in a dense, heavy cake. 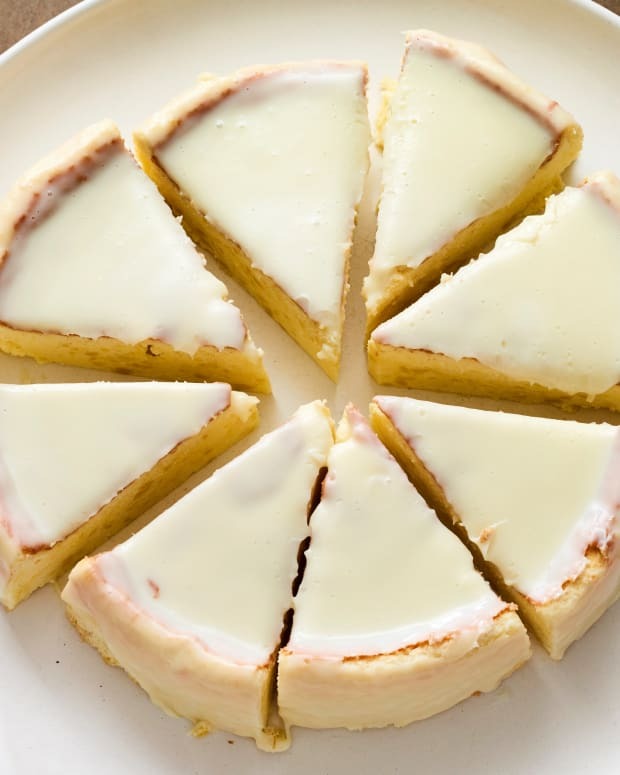 The Israeli cheesecake culture was born from the European bakery culture, in addition to being reliant upon the products that are readily available in Israel, mostly soft white cheese, Gvina Levana, which is 5%-9% fat. 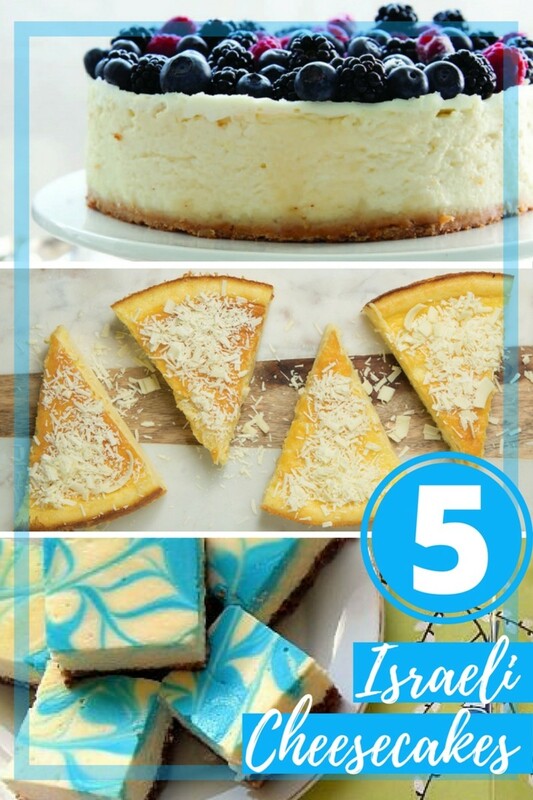 The most loved and common cheesecakes in Israel are variations of a baked cheesecake, using 5-9% cheese, sugar, cornstarch or instant pudding, eggs, and vanilla extract. Sometimes with a crust, sometimes topped with sour cream, you will find it in most every home. 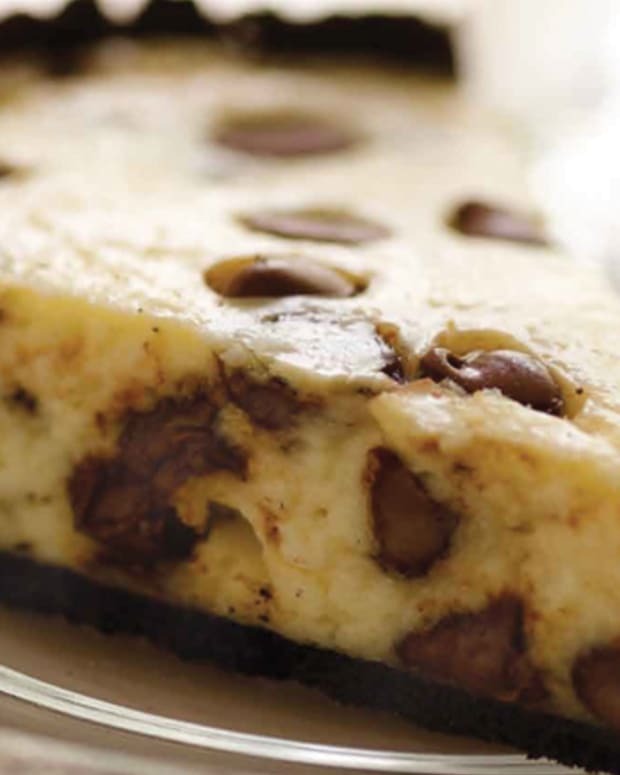 The other all-time favorite Israeli cheesecake is a crumb cheesecake, Gvina Perurim; this along with chocolate soufflé is a café bestseller. Gvina Perurim has a crust (either baked or crushed Petit Beurre mixed with melted butter) topped with a very thick layer of cake (an unbaked mixture of soft white cheese, whipped cream, sugar, and gelatin) and topped with crispy crumbs. This cake is an Israeli development of the Austro-Hungarian famous bakery tradition of a streusel cake, which was made there with layers of torte cake. When done well it’s like biting into a cloud, and I love it. 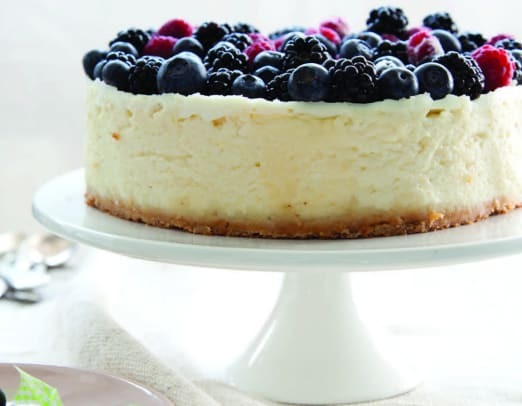 These are, of course, the two most common cheesecakes in Israel, but with so many creative bakers here in the Promised Land, we have so many new iterations like cold cheesecakes with blueberry or cherry topping, chocolate cheesecake (I love this combination), tiramisu cheesecake, streusel cheesecake, and more. Get more recipes like these delivered to your inbox when you sign up for our newsletter.